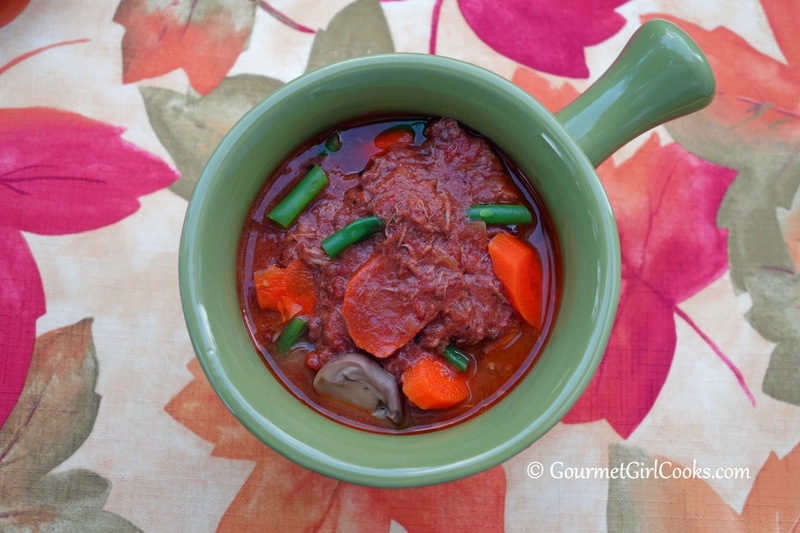 This evening we had Slow Cooker Beef Paprikash Stew for dinner. 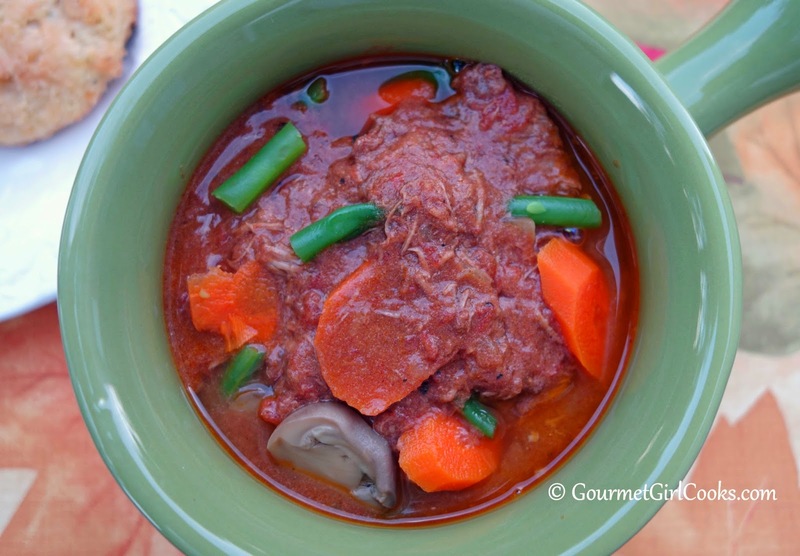 It was so easy to make and such a nice hearty, meaty stew that contained all the flavors of beef paprikash. I didn't brown my beef ahead of time, I just mixed everything together (except for the sour cream) in the crock pot and cooked it for about 12 hours. I stirred the sour cream in shortly before serving and then tasted the stew to adjust the seasoning. 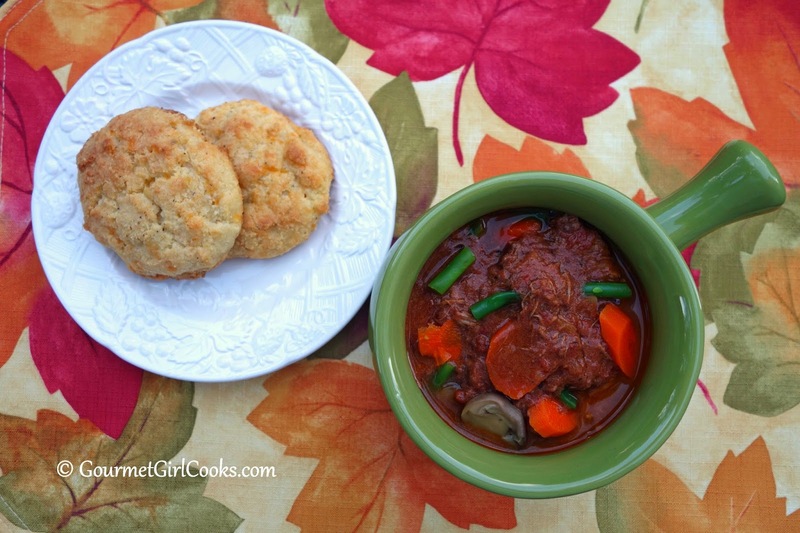 I served the stew with my Cheddar Black Pepper Biscuits. 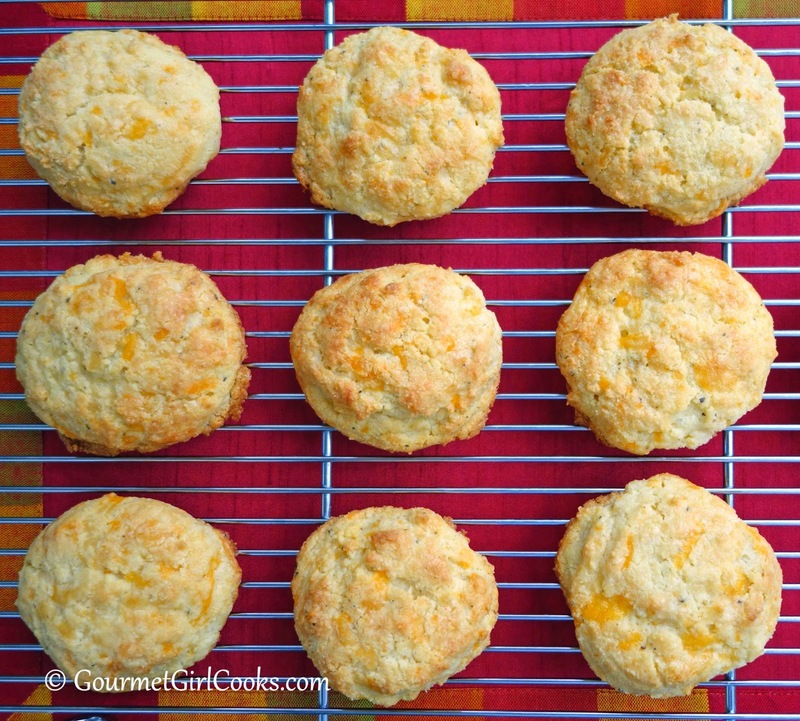 I popped the biscuits back into a low heat oven (about 300 degrees) and turned off the heat and let them sit in the oven for about 10 minutes to get hot and toasty. They were awesome with the stew. I always love coming home to a meal cooked in my crock pot. I snapped a few photos for you to see below. 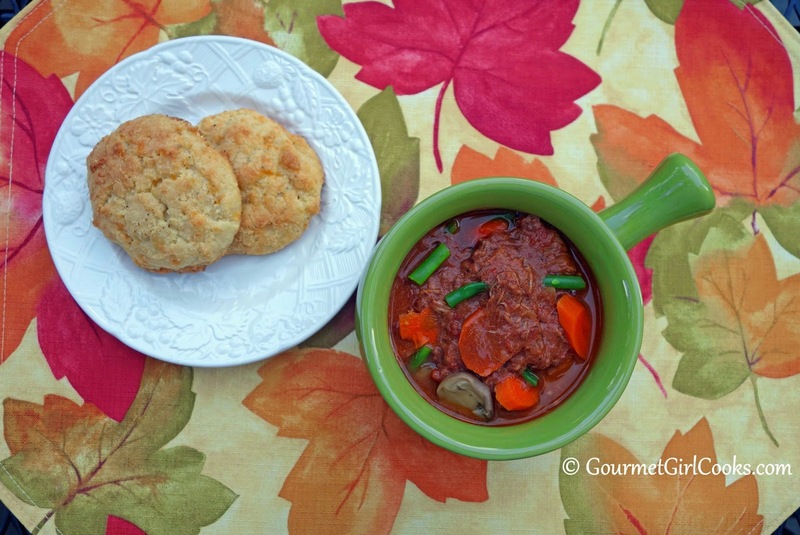 The recipe for the stew is below and to get to my biscuit recipe, click on the biscuit link above. Enjoy! Add all ingredients, except for the sour cream, to a 6 to 7 quart crock pot/slow cooker; mix well and cover. Cook on high for 1 hour; reduce heat to low and cook an additional 8 to 10 hours,, or all day. When stew is done, stir in sour cream. Love this beautiful stew ... and your gorgeous tablecloth! :-) Fall is in full swing here. The colors have really started to pop out big time! That looks delicious! I'm wondering about how much is considered to be one serving size? I made this for supper last night and we both loved it. 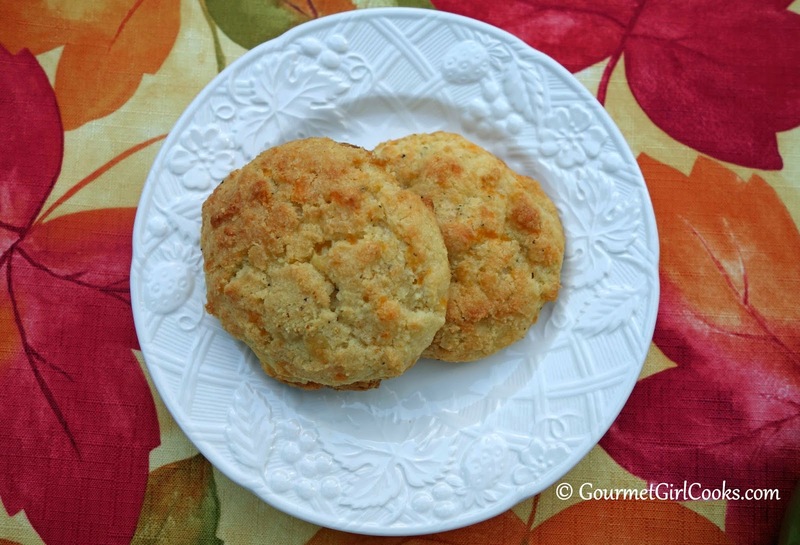 Thanks so much for such a delicious and easy recipe!